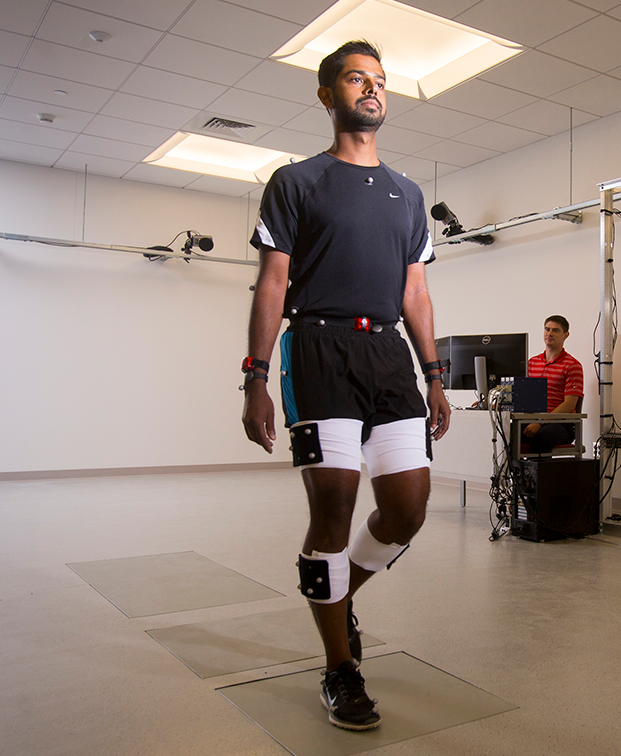 Designed and equipped for assessment of human movement (with and without robotic assistance) and the evaluation of wearable technologies that aim to quantify human motion. The Human Motion Lab is a large open space (38’ x 20’) with a 10’ ceiling and is located within the Center for Human Health and Performance. Having the Human Motion Lab located within the Center for Human Health and Performance allows us to conduct a wide variety of studies evaluating the effects and interactions of human motion with behavior, sleep, aerobic fitness, strength, body composition and muscle function. The lab is equipped with nine high speed infrared motion analysis cameras, three force platforms and a collaborative robot arm. The equipment in the Human Motion Lab enables precision evaluation of human motion and the forces acting on and within body during movement. 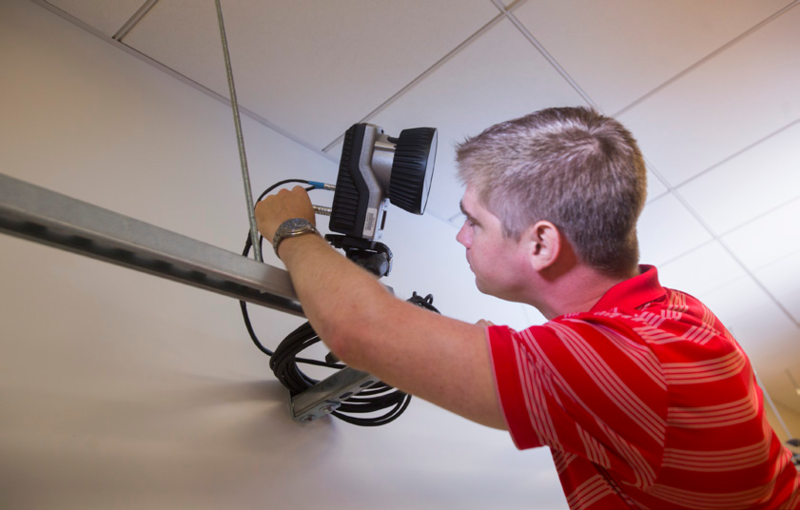 This equipment in the Human Motion Lab also provides the capability to assess and validate wearable technologies aimed to quantify biomechanical targets relevant to movement or balance. 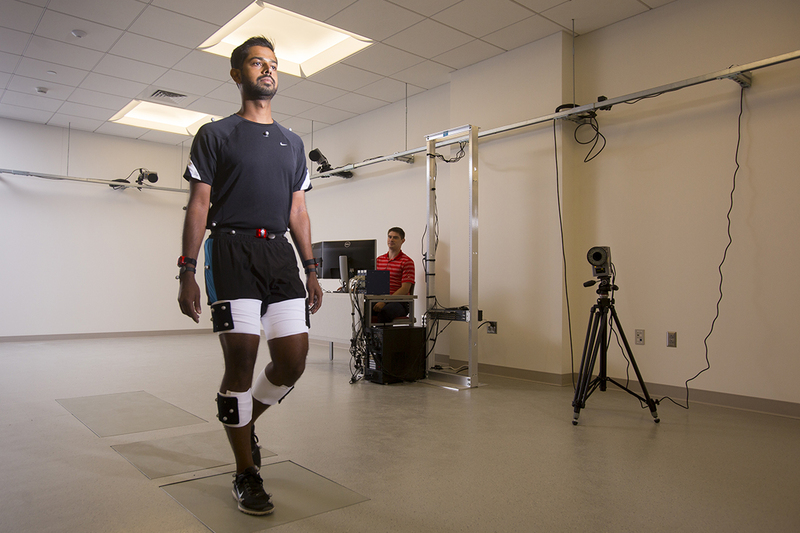 Knowledge gained by the study of human motion provides specifications and targeted outcomes for biomechanically assistive devices aimed to improve or restore motion. 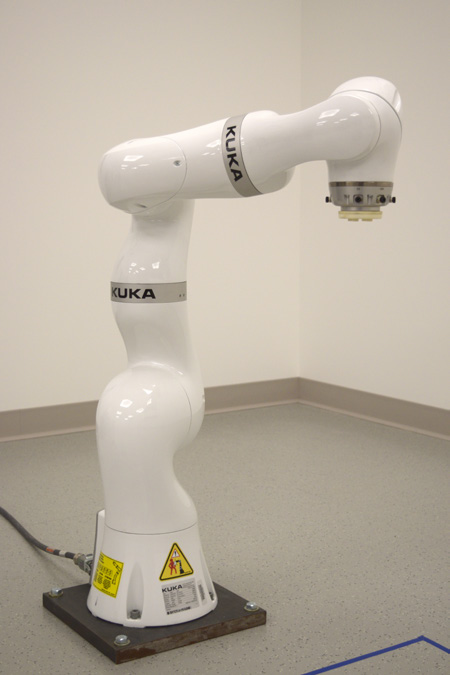 A featured piece of equipment in the Human Motion Lab is the KUKA LBR iiwa robot arm. The KUKA LBR is one of the most advanced and sensitive robotic arms available, and can be used to interact directly with people. 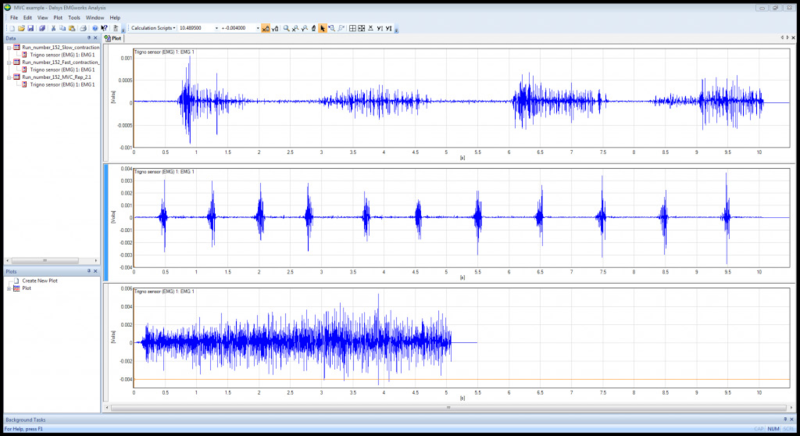 It is used to enhance understanding of human-machine interaction with a focus on improved medical rehabilitation techniques and the manufacturing and validation of assistive devices. The combination of this interactive robot with a motion capture system is a unique capability in the world. The robot also allows for characterization of sensor technologies through emulation of human movement for stability or variability testing. Are you a device developer? 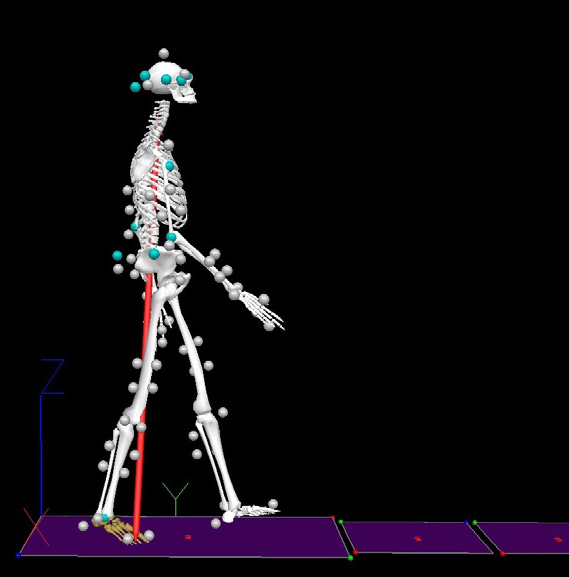 Do you want to be able to compare your gold standard measures of motion analysis? The Human Motion core houses the equipment necessary to conduct validation and calibration studies for your wearable - and provides the necessary equipment to synchronize many 3rd party devices (analog and digital) with the existing motion capture system, allowing for easy comparisons between systems. Integrated analysis, custom modeling and reporting. Make a payment to the Human Motion Facility.